Is There A Communications Breakdown Between The U.S. And North Korea? HomeWorldIs There A Communications Breakdown Between The U.S. And North Korea? Remember when Donald Trump said he and Kim Jong-un fell in love? Well now it seems they just don’t talk anymore. Instead, the US and North Korea appear to be staring one another down, waiting for the other to blink or make a move. And neither appears willing to give way. 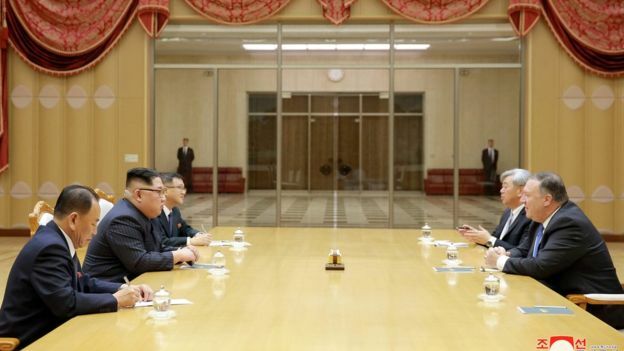 Discussions aimed at setting up a second summit between the two leaders didn’t happen as planned this week. Chairman Kim’s aide, the hardliner Kim Yong-chol was supposed to travel to New York and meet US Secretary of State Mike Pompeo. WNU Editor: No one said this was going to be easy.